If history is an arrow aimed at the future, the Lucille Ball Little Theatre of Jamestown is right on target for another 80 great years. Decades of actors, directors and talented crews have delighted audiences with more than 400 of America’s favorite, most successful and inspirational musicals, dramas and comedies. The Lucille Ball Little Theater will celebrated their amazing 80 year tradition on Saturday, June 10, from 7:30 to 10:00 p.m. with its The 80th Anniversary Celebration of the Lucille Ball Little Theatre, a review of some of the theatre’s most notable history, performances and memories and an inspiring look forward toward its future. More than 30 stars of the Little Theatre stage joined special guests, radio personality Dennis Webster, and the Jr. Guilders on a spoken and musical journey through 80 years of wonderful memories! 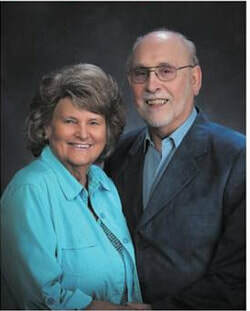 Few people in the long history of the Little Theater have given as much in time, love and dedication as the well known theatrical husband and wife team of Helen and Norm Merrill. 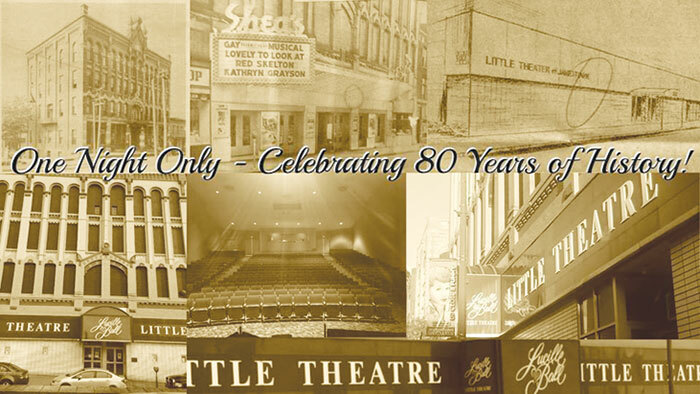 Saturday night will include a special celebration staged in honor of the 50 plus years they have devoted to the theatre in acting, directing and set design and construction. The Merrills have tirelessly volunteered their time backstage and onstage, building sets, and designing and sewing costumes and props and have given uncountable hours to making everything run the way a great theater company should. Without Norm, the 1968 restoration of one of Jamestown’s historic old buildings might well have been impossible. With his direction the company built an entirely new theatre inside the shell of the old one and reopened it in 1969 with a seating capacity of 402, a full stage, backstage and lobby. Jamestown’s Jr. Guilders also owe their creation and long years of success to Helen Merrill. The generosity, talent and wisdom of Helen and Norm Merrill have strengthened the foundation of the Little Theater for more than five decades. They created a legacy unlikely to be matched and never to be forgotten through the next 80 years of the Lucille Ball Little Theater of Jamestown. Shown left are Robert Ostrom, president of the board of directors; Carla Kayes, vice president of the board; and State Senator Cathy Young.